I’m sure you have seen the amazing photos of Antelope Canyon and thought, “Wow I need to go there!” I too was amazed and I decided to make a Grand Canyon, Antelope Canyon and Phoenix trip during Memorial Day weekend. I did not pre-plan which is unusual and I booked my flight to Vegas less than 8 hours prior to departure due to my Southwest card and benefits. Here are a few things I wish I knew prior to my visit to Antelope Canyon in Arizona. 1) There is an Upper and a Lower Antelope Canyon. They are run by two different tribes and have different costs. The lower Canyon is cheaper by about $20-30 per person. The lower is known for purple pretty hues. The upper is known for the light beams. 2) You can’t visit on your own. It’s not a national park where you pay an entry fee and visit. You have to schedule a tour with an authorized tour guide. 3) Schedule in advance. Depending on the season, make advance reservations to lock in a good time slot. 4) Summer time is the best and worst time to visit. The lighting is best in June but the crowds make for an unpleasant visit. Also its hard to capture nice individual shots. 5) If you are a professional photographer and want to bring your tripod, you can take a separate tour. There are sightseeing tours for everyone but photographer tours allow you to take a tripod. You will need to apply for credentials. 6) All tours are not created equal. Since we waited until the last minute we had to take the first tour available. The tour was $98, rushed and we learned nothing about the Canyon. The tour guide only noted parts of the canyon that was shaped like celebrities or animals. 7) Know the settings of your camera for the best low quality photos. The tour guide told us the settings for an iPhone. She gave some for my android but didn’t seem sure. Maybe it was the photographer (me) or settings but my pics did not come out good. 8) Definitely take sunglasses, water and some type of bandanna to cover your nose. There is sand blowing everywhere and you need to stay hydrated. Both are located on the same street in Page, Arizona. Lower is on the left and upper on the right. It’s about 1 hr and a half from Grand Canyon and two hours from Flagstaff. 4 hours from Phoenix. It truly is in the middle of nowhere. Cell service not very reliable so we used the GPS that came with the rental car. There are few gas stations so the prices are HIGH and no street lights so plan your drive back accordingly. 10) Travel with someone who knows how to take photos. The tour guide wasn’t good. If they offer to take your pic, decline. Otherwise your selfies will probably come out better. I’m not sure if it was due to the tour company or due to it being a holiday weekend but I was underwhelmed by Antelope canyon. I had a better experience at Grand Canyon and nearby Horseshoe Bend. Maybe next time I’ll check out lower antelope canyon. Have you visited one or both? Comment your favorite parts below! This page contains affiliate link(s), which means we receive compensation for items purchased through the link (s). The compensation helps us keep this website free. Please view our Disclosure Policy for more information. Like this post? Join our email list so that you don’t miss anymore travel tips, hacks and deals! 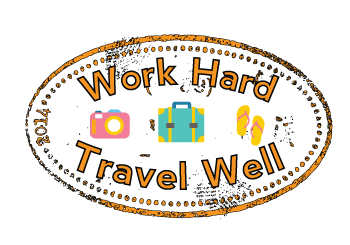 Kim H. is the creator and chief editor for Work Hard Travel Well. Born and raised in College Park, Ga. She is a true "FILA" :) and UGA Alumna. Go Dawgs! Get Started With A 99 cent domain! This site is powered by WordPress on SiteGround! Click to create your own site! Hurry, you're missing out! Receive Free Access To The Best Trip Planning Tools & Discounts By Joining Our List!